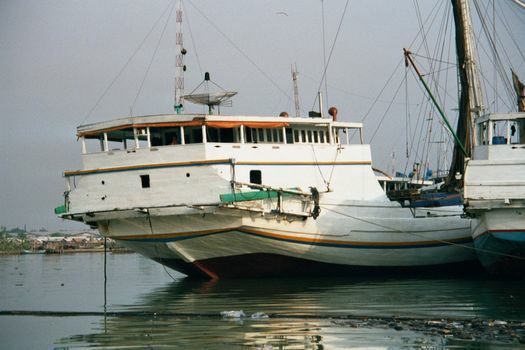 Back in the 14th century, the Hindu Pajarjaran kingdom had a port on the west coast of Sunda, or western Java. 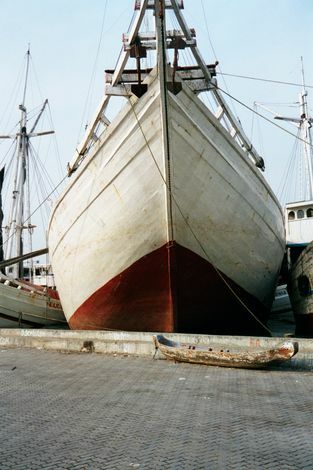 What the port handled is anyone's guess, but "kelapa" means coconut, and the port was named Sunda Kalapa. 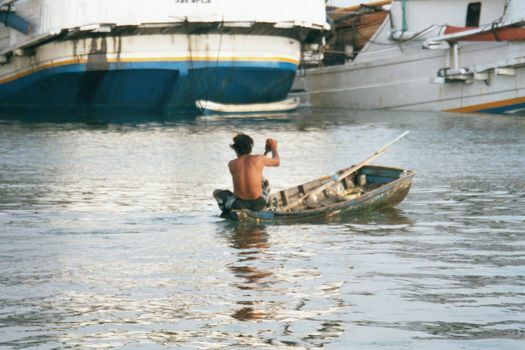 In 1527, the Pajajaran kingdom fell--bloodily, of course--and the victors renamed the port Jayakarta ("victory city"). That kingdom, too, fell, and the new rulers--the Dutch--renamed the port Batavia--referring to their own tribal antecedents. 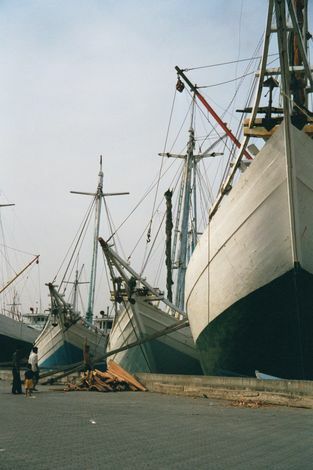 Still, the old name Sunda Kelapa remains in use, applied now to what amounts to one small part of the port of Jakarta and a part vastly overshadowed in the 1880s by the construction a few miles east of a modern port at Tanjungprio. 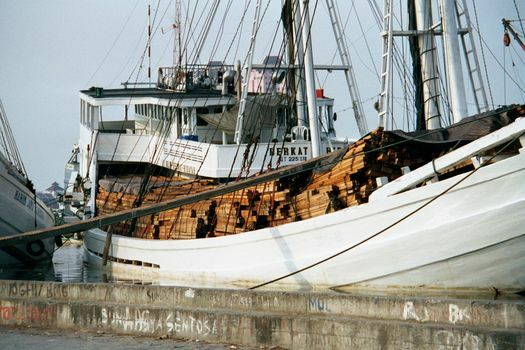 Sunda Kelapa still handles schooners called phinisis. 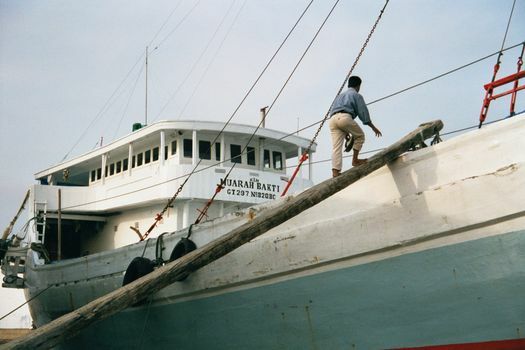 They are made some 700 miles to the east, on Sulawesi and are devoted nowadays to transporting timber, mostly from Kalimantan. 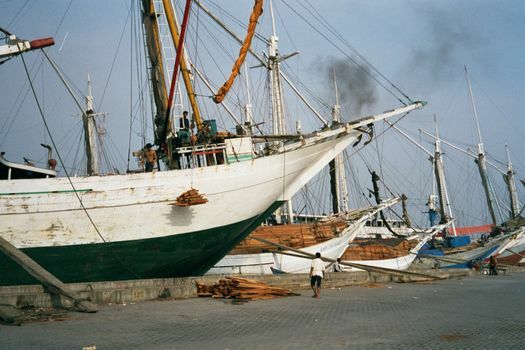 On the return journey they handle a variety of commodities such as cement. Who owns them? 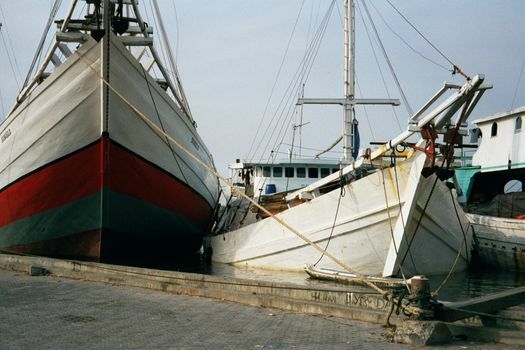 Who sails them? How much money is made in this trade? What kind of status do the seamen enjoy? Lots of questions; not so many answers. 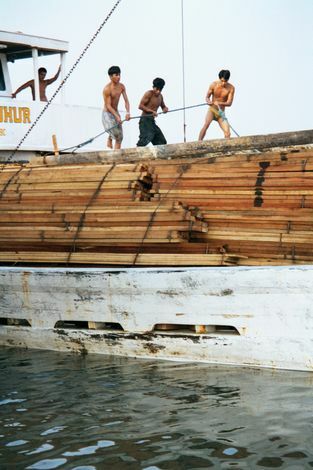 That's the gang-plank, being manhandled atop the lashed timber. 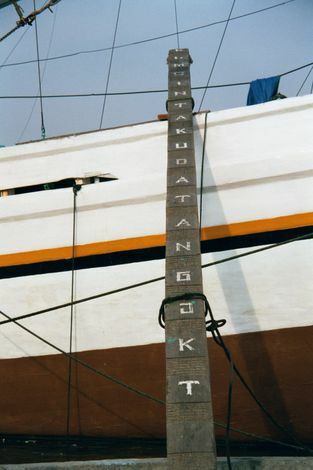 Set in place: the plank is the only way on or off. Feel brave? Loading is handled by simple cranes like the one shown here, driven by a dirty diesel. 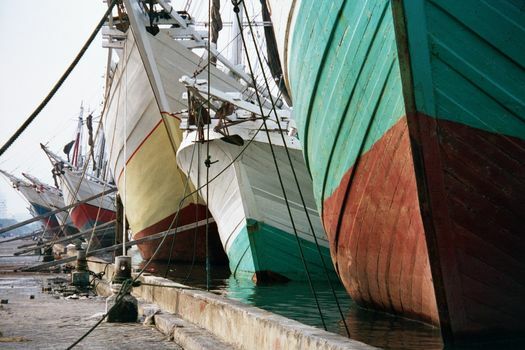 Some of the vessels have improved quarters including satellite dishes. Riding high and waiting for a load. An odd way to row.